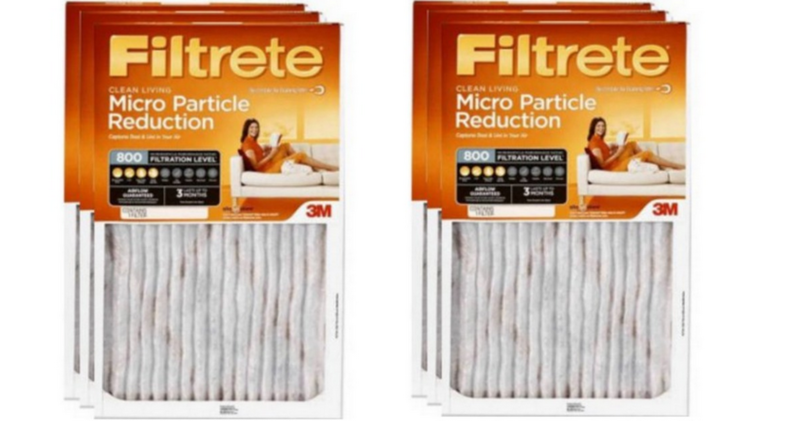 Head over to Walmart or Jet where you can get Filtrete Micro Particle Reduction HVAC Furnace Air Filter 3 Pack available in multiple sizes for $15.88, regularly $26.64. This makes it $5.29 per filter! Even better, you can submit a $5 Mail in Rebate when you buy two 1 in. Filtrete Filters with an MPR of 800 or greater. The multi-pack is considered a single unit for purposes of rebate eligibility so you will need to purchase two multi-packs in order to qualify.